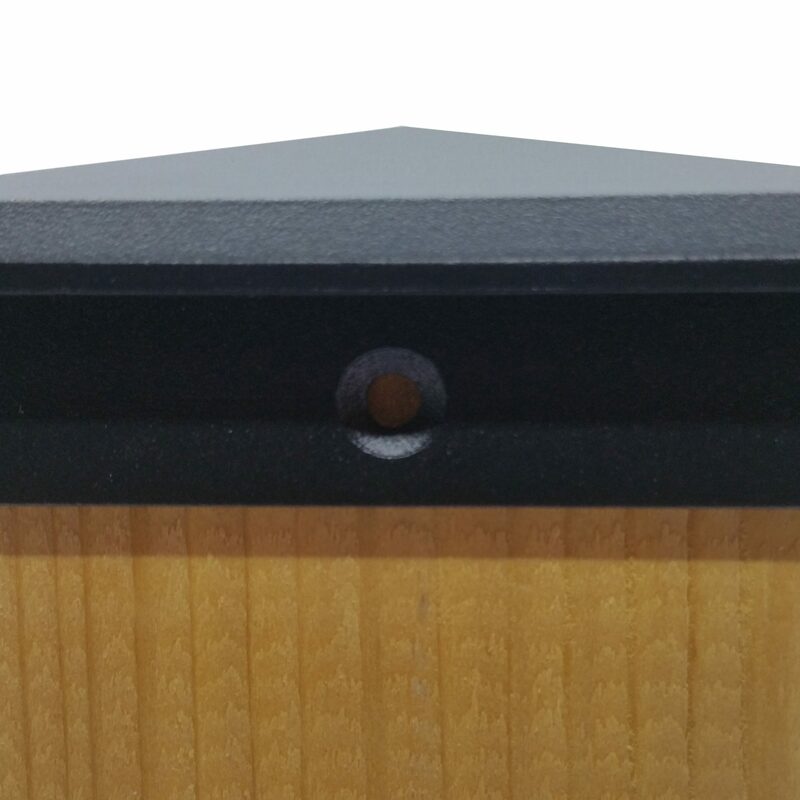 Easy installation – includes all mounting hardware needed for installation (2 black stainless steel screws). Made of high quality cast aluminum – Black Finish Powder Coated. 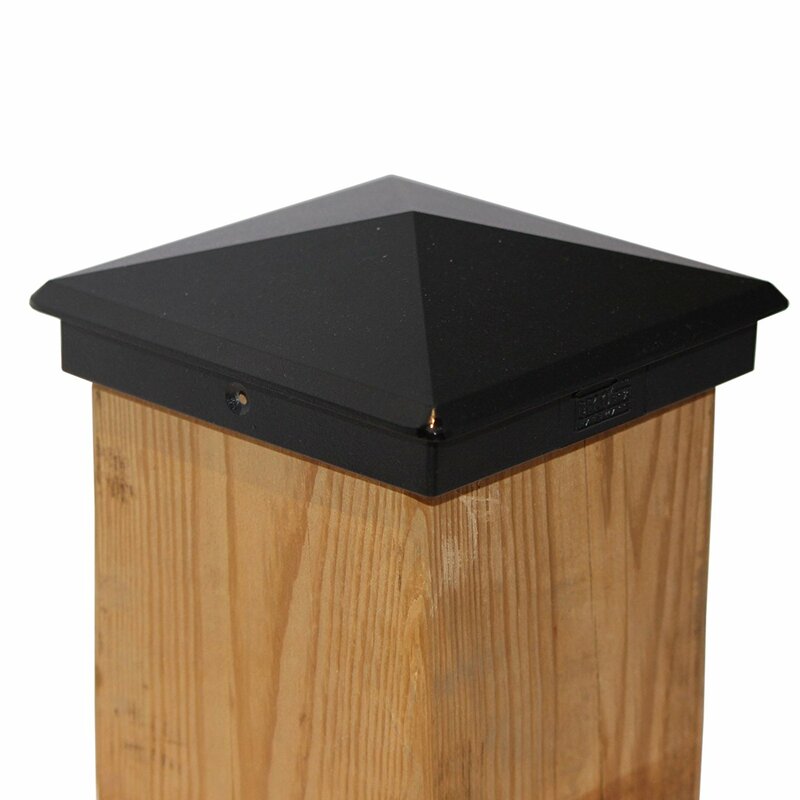 Heavy Duty – sturdier than any other post caps on the market. 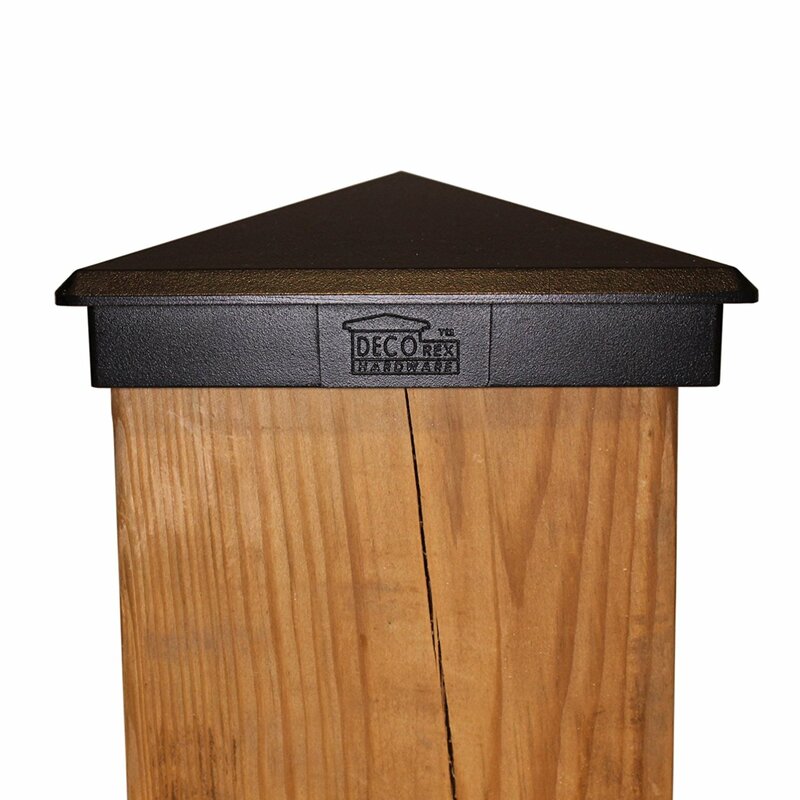 Prevent your posts from premature rotting. 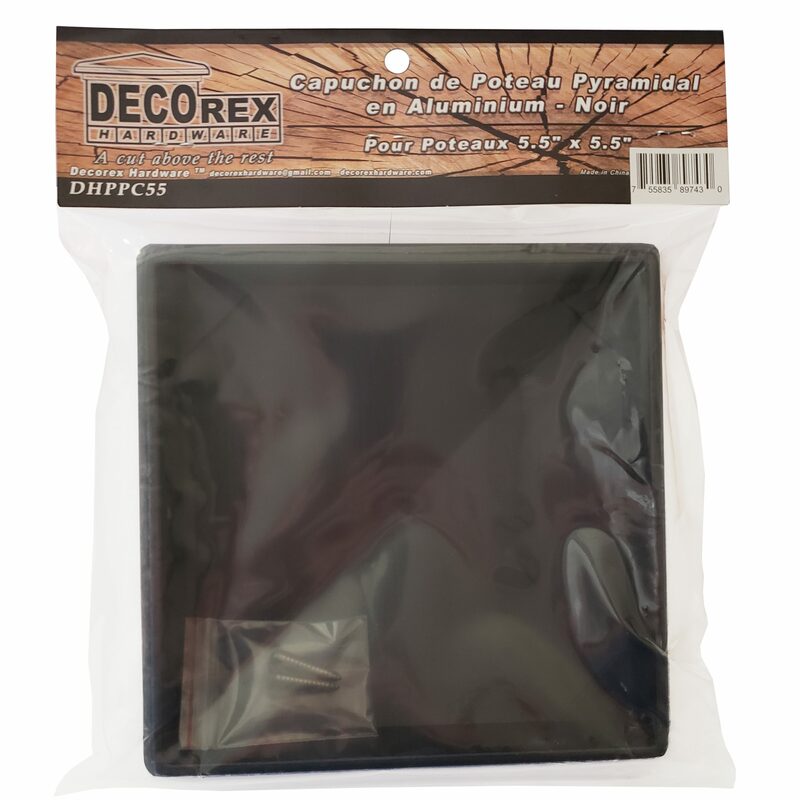 Protection – great way to keep deck and fences in great shape. Add years to the life of your investment. 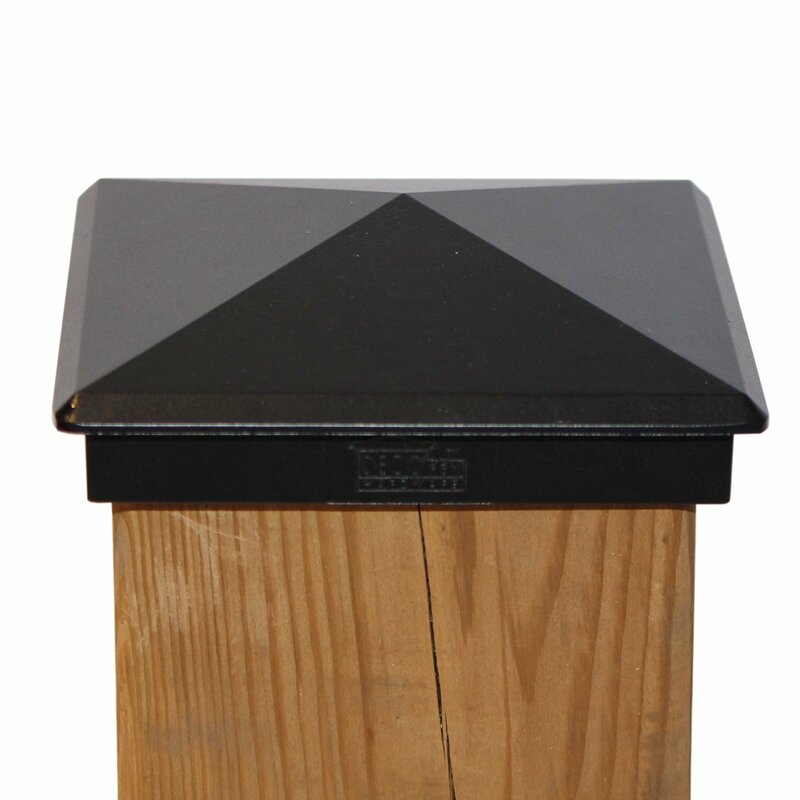 A cut above the rest! 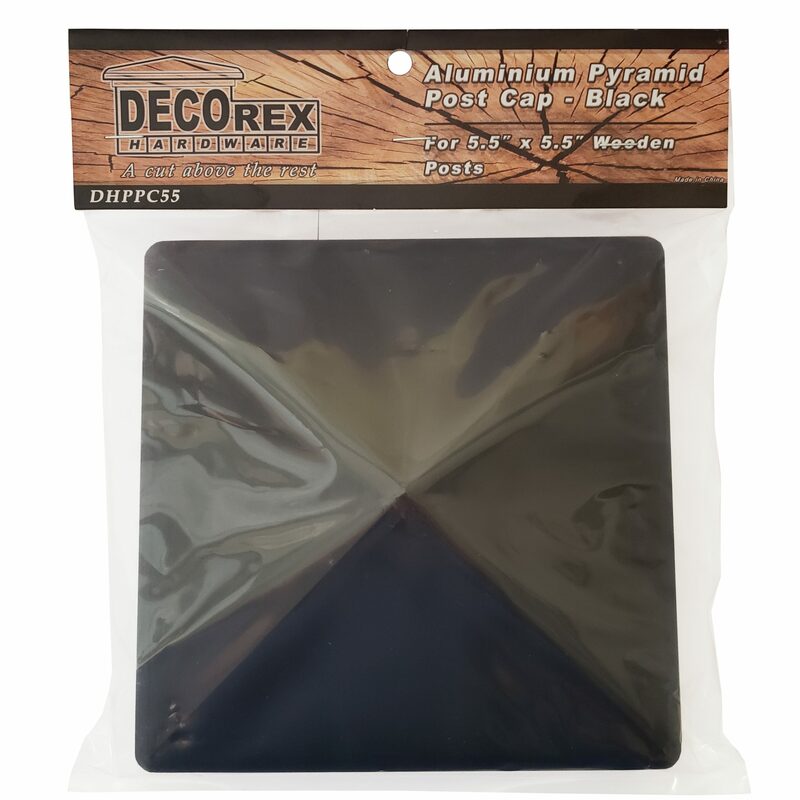 – This Decorex Hardware 5.5″ x 5.5″ Aluminium Pyramid Post Cap is the perfect choice that will make your fence stylish and beautiful, providing long-lasting protection to your posts against weather conditions and wood rotting, adding many years of life to your fence and overall value to your home. 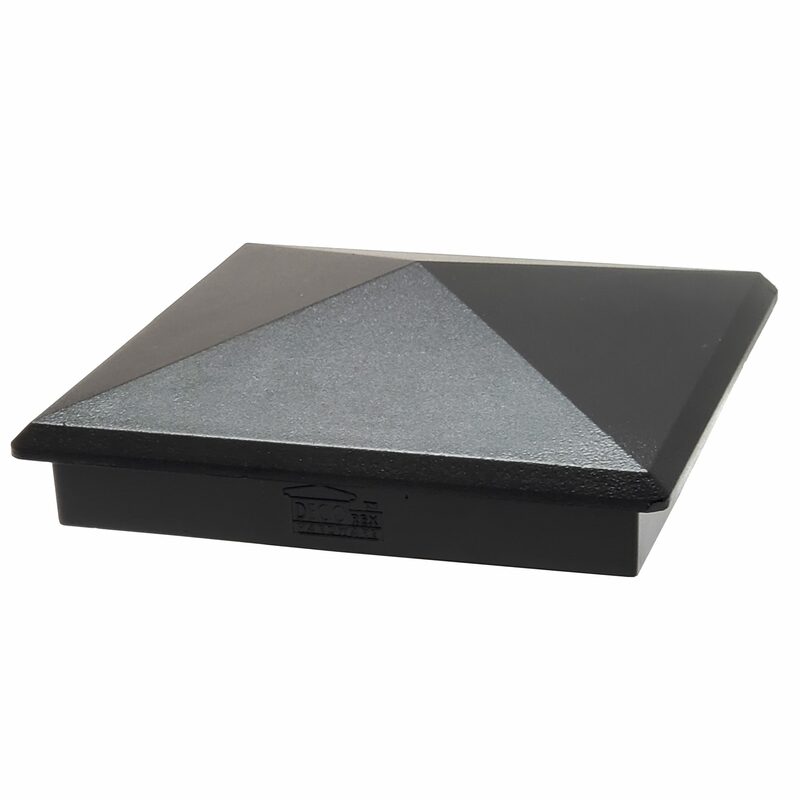 This post cap model (DHPPC55) is made of a high quality cast aluminum with a black powder coated finish, making it a great combination of style and durability, giving your fence a unique touch that catches attention. 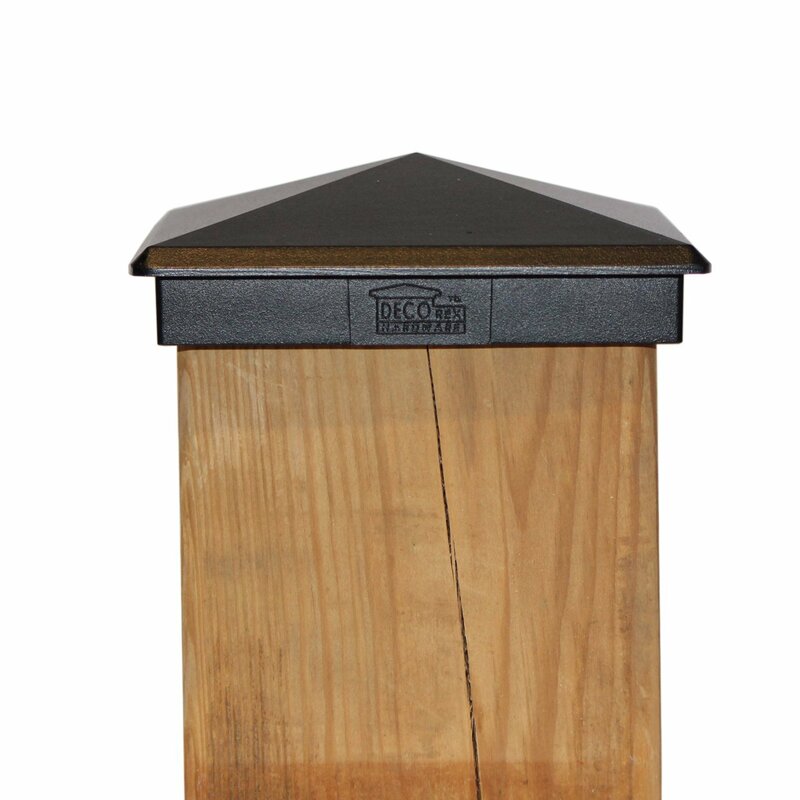 Designed to fit on standard wooden posts with dimensions of 5.5″ x 5.5″ the caps are easy to install with two included screws on the side of each post cap. So what are you waiting for? 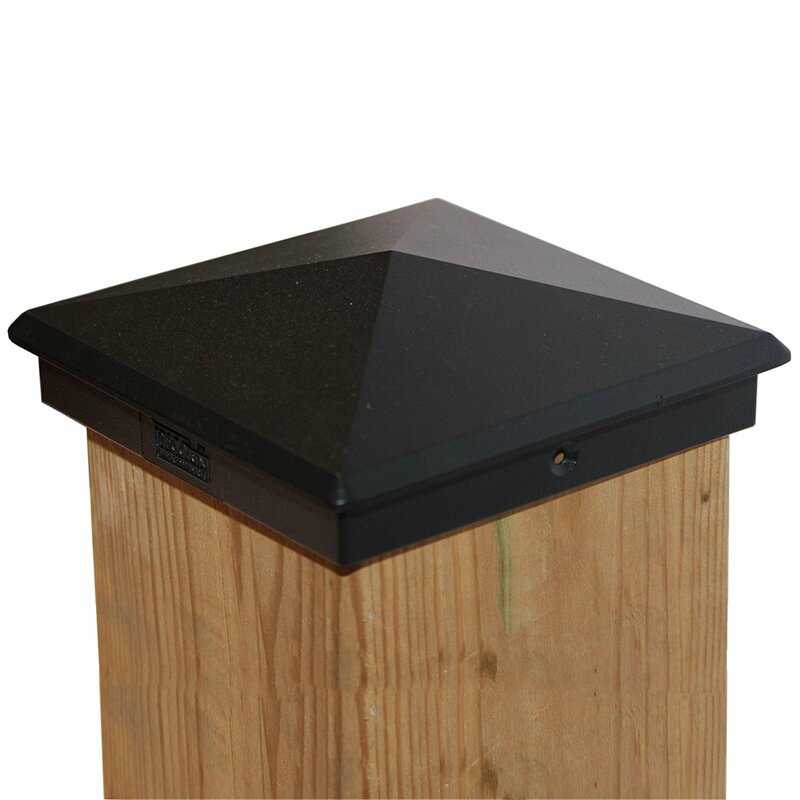 Choose Decorex Hardware 5.5″ x 5.5″ Aluminium Pyramid Post Caps today and finish your project with great style & quality. 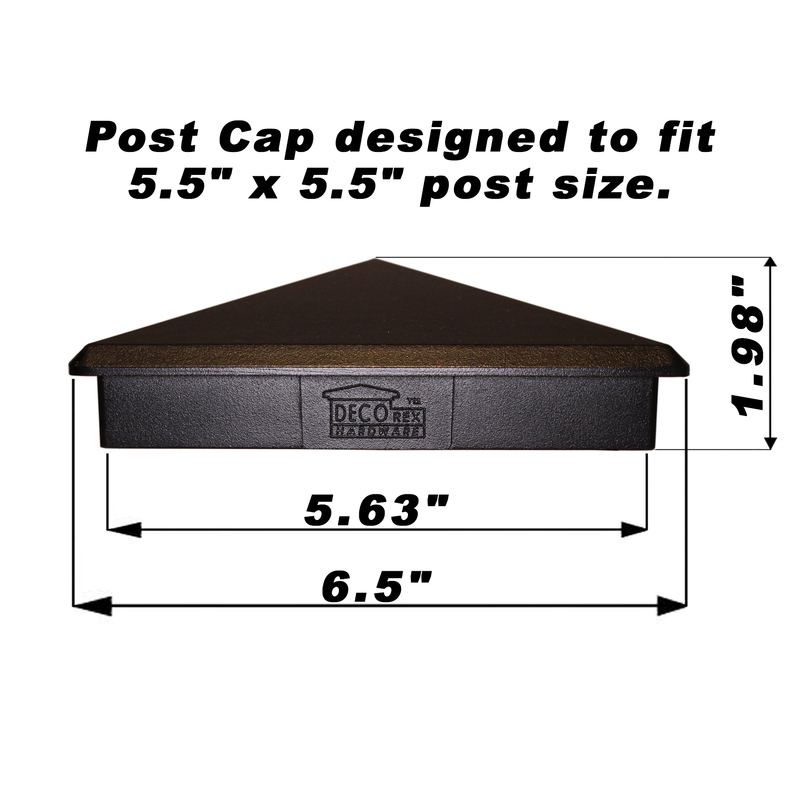 What are the 5.5″ x 5.5″ post cap specifications? 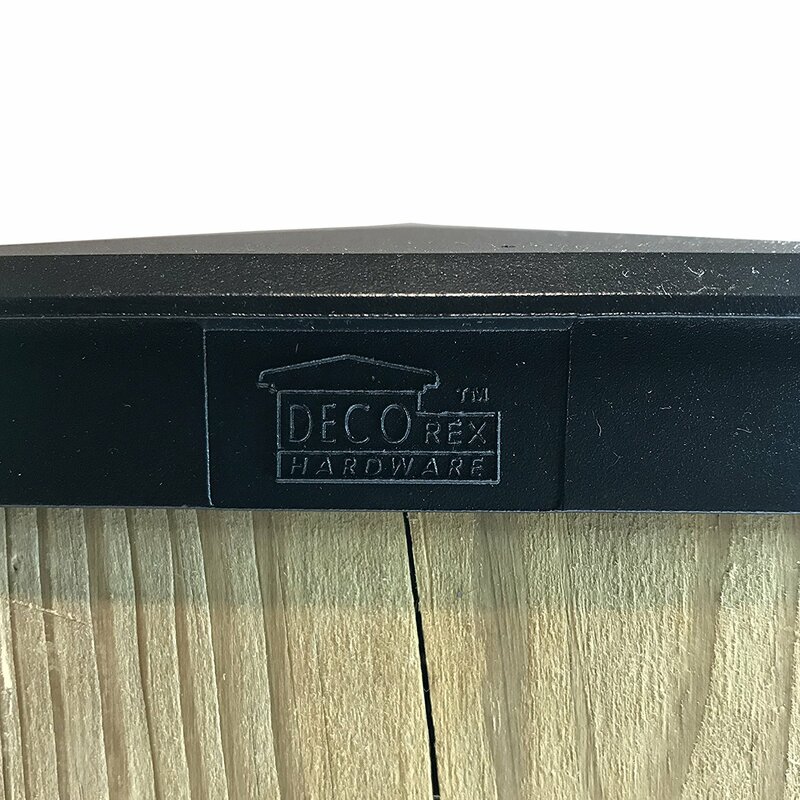 •Decorex Hardware 5.5″ x 5.5″ Post Caps are made for standard 5.5″ x 5.5″ posts. 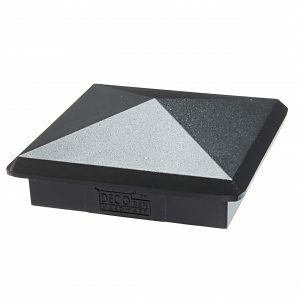 •Pyramid Post Caps are marked “Decorex Hardware” on one side of the Cap.